Looking for some family-friendly staycation Ideas? You’re in the right place. Spring break is right around the corner and after a long winter, everyone is ready to get out and enjoy the sun. However, even the simplest vacations can get pricing when it’s multiple for a family. Between travel costs, hotel stays and eating out at restaurants the cost of the average vacation can break the bank for families on a budget. So, today we’re going to be sharing some fun and exciting staycation Ideas that the whole family will love. If sticking to the family budget or busy work schedules means you might have to stay home this year. No worries your family can still enjoy a fun and exciting vacation right at home.You just have to think a little outside the box and get creative. To your Kids, a staycation may not sound that exciting right away but they’ll be surprised as to how much fun you can actually have staying home and we got some great staycation Ideas. Get to know the city you live in and visit places that you and the kids have never been. You’ll be surprised at what you can discover in your own backyard. Stop by your local Visitor Center/department of tourism and pick up some pamphlets about tourist attractions in your area. plan a day or 2 to check out some of your city or town’s local attractions such as historic sites, the zoo, museums, Art Galleries, and landmarks. Pack up the sleeping bags, flashlights, chairs, and fire up the grill or build a campfire for a night of fun. NO FACEBOOK, Texting, Tweeting or FaceTime. Just go old family fun. Your kids will love the adventure of sleeping outside, making smores and telling scary stories. Have a picnic it’s free, it’s easy and it’s something that you can do right in the backyard. Plus it gives you the opportunity to spend more time together as a family. Simply grab a blankie we love using our Monkey Mat Portable Floor , snacks, and drinks. You can have the park or in your backyard. Grab the popcorn, pop open the soda and host a family movie marathon. Start the marathon early and Allow each family member choose a movie to watch. Amazon Prime and Netflix make movie night super easy and convenient. You can even invite the whole family, neighbors, and friends over if you’re up for it. Take a Walk on the Wild Side and visit the zoo. There so much for the kids to learn, explore and discover. Prep for a zoo Trip by having the kids read books about some of their favorite animals. Plan a family field trip to your closest National park. This a unique learning opportunity for the whole family. If you have a child in the 4th grade, they can earn a free pass to all federal parks, lands, and waters. As part of their “Every Kid in the Park” Program. Plan your visit and find a park. Help your kids Spring into spring by reading books on celebrating spring and they’ll encourage them to get outside. Here are some of my kid’s favorite books on celebrating spring. When you can’t go outside on those rainy days, pull out some paper, glue, crayons, and markers and let your kid’s creativity run wild. Take the kids on a Nature Scavenger Hurt. This is a great way to get the whole family outdoors and ‘scavenging’ for treasures in nature. 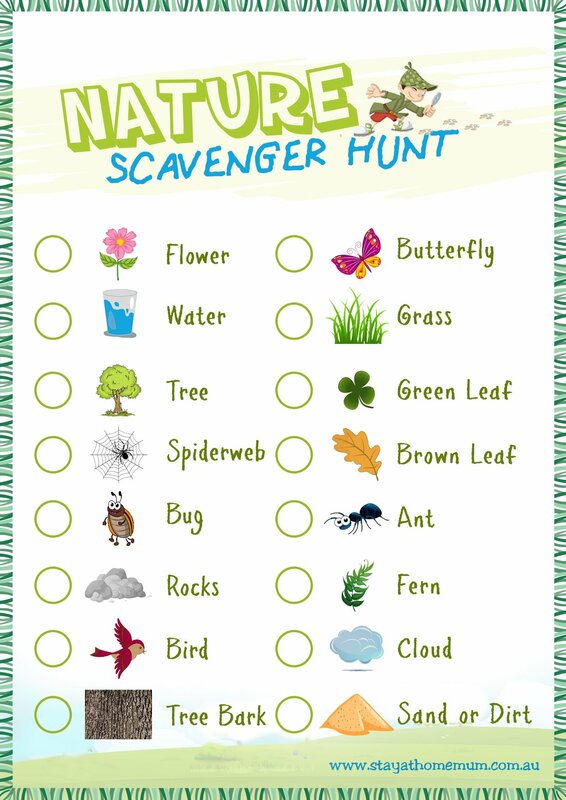 You can get a free Nature Scavenger Hurt Printable at the stayathomemum. This last tip is pretty self-explanatory. Turn off the cell phones, head out to the backyard, or Pack up some snacks and water go to the park. You can fly kites, go for a bike ride, play score or any or active your family enjoys doing. Are you planning a Staycation this year? If so what are your plans?